Canker sores (aphthous ulcers) are often confused with fever blisters (cold sores). However, they are quite different. Canker sores only form inside the mouth on the gums, cheeks, tongue or floor of the mouth and cannot be transmitted from one individual to another. They begin as small red circular swellings that usually ulcerate [rupture] within a day, after which they become white, surrounded by reddish inflammation and last for 8-10 days. As open sores, they can be very painful to the touch. 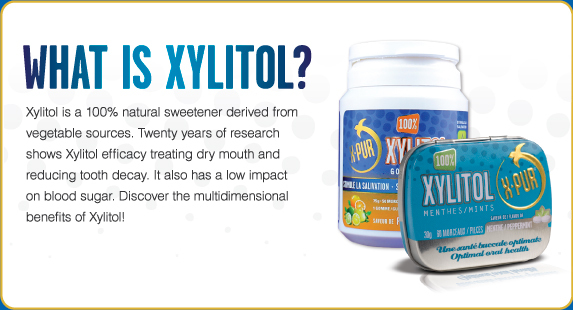 Canker sores afflict about 20% of the population. Their cause has yet to be discovered, although they appear to breakout more in stressful situations, from getting a small “nick” in the skin [mucous membrane] or from foods such as citrus fruits and tomatoes. While they can occur in very young children, canker sores usually manifest themselves in people between the ages of 10-20. It’s not uncommon for them to erupt three to four times a year, but they occur less frequently, or stop all together, in adulthood. If you have canker sores, avoid rough textured or spicy foods, which irritate them. Try not to touch them with eating utensils or your toothbrush. Apply ointment that contains a topical anesthetic or some other active ingredient that will relieve the irritation. Cold sores form outside the mouth, usually on the lips, but they may appear on the chin, outside of the cheek or the nostrils. They begin as a red blister, burst and crust over and last for 7-14 days. Cold sores – caused by the herpes simplex virus (type 1) – are contagious; they transmit by skin-to-skin contact. The virus, carried by almost everyone, is dormant most of the time. Fever blisters occur most often in young adults and adolescents and decline in people over 35 years of age. Certain factors activate its outbreak, particularly stress, colds, fevers and/or sunburn. To reduce occurrences, avoid kissing when the blisters are visible. Also, don’t squeeze or scrape the blister. Wash your hands thoroughly before touching someone else and use UV sunscreen on your lips before spending time in the sun. Treatment of cold sores includes avoiding spicy and hot foods that will irritate them, application of phenol-containing over-the-counter ointments and administration of some anti-viral antibiotics that will shorten their duration (but not prevent their outbreak). If you’re worried about canker or cold sores, call our office. We’re here to help you deal with these common afflictions and will offer additional treatment recommendations, as necessary. An active lifestyle calls for active safety. And while helmets, goggles and knee pads have become standard equipment to protect our bodies, it’s important to remember to protect your teeth as well. Mouthguards offer an easy, reliable method to cushion your teeth during athletic and recreational activity. 1. 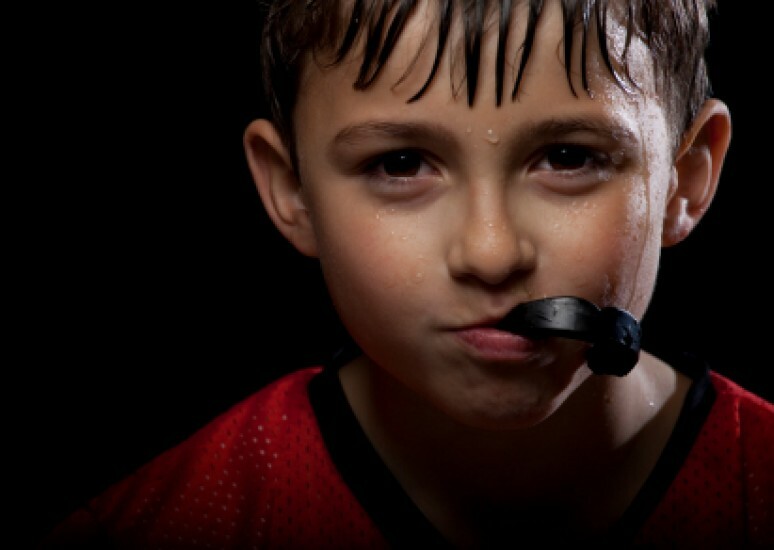 Stock Mouthguards — These pre-made protectors can usually be bought wherever sporting equipment is sold. Most dentists do not recommend their use because they cannot be adjusted to your mouth and provide only limited protection. 2. Boil-and-Bite Mouthguards — Boil-and-Bite guards are softened with hot water and then molded over your teeth. 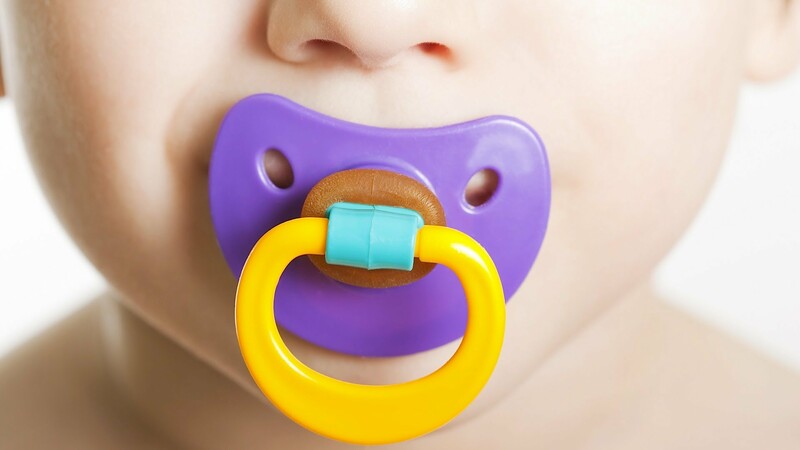 A somewhat customized fit leads to better protection and greater ease in talking and breathing. These are also available at most sporting goods vendors. 3. Custom Mouthguards — Your dentist can create a custom mouthguard designed specially for your teeth. These offer the best fit, comfort and protection, but may be more costly than store-bought varieties. While toothpaste [dentifrice] is a valuable adjunct to a toothbrush in oral hygiene, it is the correct brushing action that removes the plaque [sticky mixture of bacteria, food & debris] from your teeth. • Fluoride Any brand toothpaste that contains fluoride and the ADA Seal of Approval, to attest that there is evidence of its safety, reliability and effectiveness through clinical trials, is acceptable. 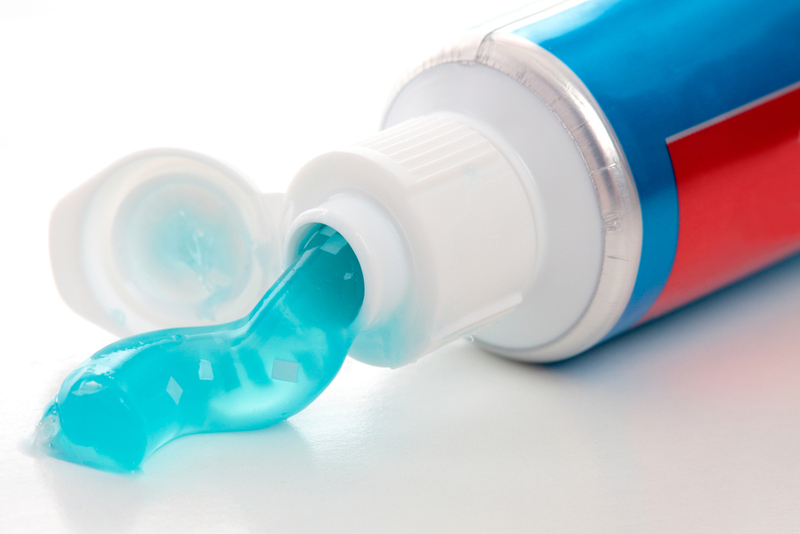 It makes no difference if the toothpaste is a gel, paste or powder or which flavoring agent is used. However, from an individual motivational standpoint, and assuring its use, these characteristics may be important. 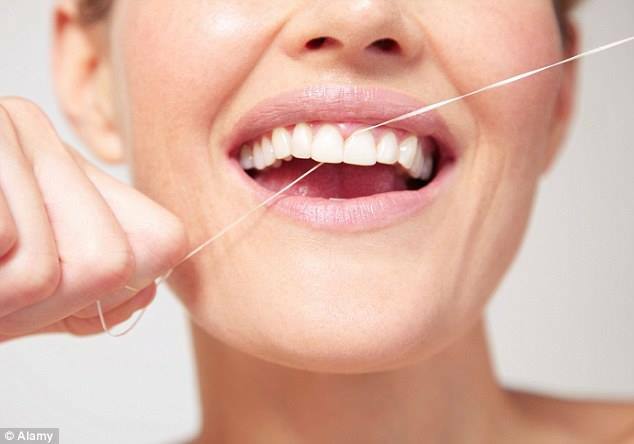 Other than fluoride, which strengthens the enamel and fights decay, toothpastes contain abrasives to remove stain and polish the teeth and ingredients to leave the mouth with a clean, fresh feeling. • Sensitive Teeth If your teeth are sensitive to hot or cold, choose a desensitizing paste with either strontium chloride or potassium nitrate as an added ingredient. Expect about 4-6 weeks to see real improvement. • Tartar Control There are brands of toothpaste that advertise “tartar control” and usually have the active ingredient pyrophosphate. 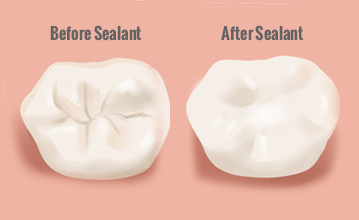 While it will not remove tartar, studies have shown it will reduce tartar formation up to 36%. Tartar [calculus] can only be removed with a professional prophylaxis [cleaning]. 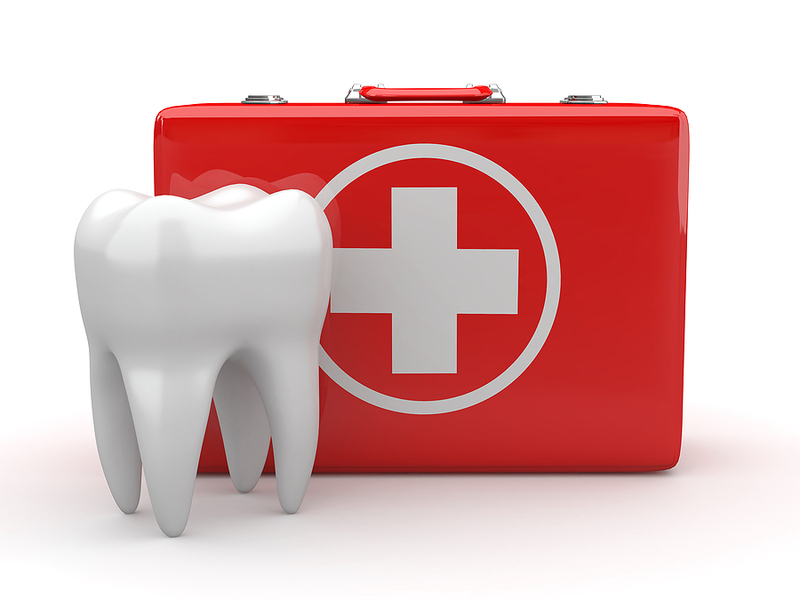 • Abrasiveness Many toothpastes now contain baking soda, which is less abrasive. This is advantageous for reducing tooth sensitivity in people with gum recession or those who have eroded their teeth by rigorous brushing with an abrasive toothpaste. • Whitening Bleaching teeth to make them lighter has become popular. If you desire a whitening toothpaste, look for the active whitening agents of carbamide peroxide or hydrogen peroxide. These toothpastes serve best to maintain the tooth shade after bleaching procedures. Call our office if you have bleaching questions. • Dentures If you wear partial or full dentures, they will also stain and absorb odors. Ask your pharmacist to recommend an ADA Accepted denture cleaning paste and/or solution. 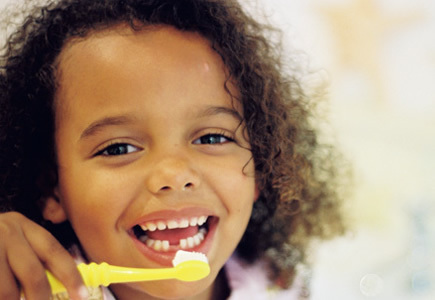 When brushing, it is not necessary to overload your brush with toothpaste. Squeeze a “pea-sized” amount on the top of the bristles. Correct brushing techniques will cause the paste to foam and cover all of your teeth.